The Summer Break is almost here to knock the doors, and we are sure that you don’t want to waste it sitting idle at home. So why not travel to India and do something meaningful for the society where hundreds of people need your help. Volunteering India has designed a Summer Volunteering Program 2019 for all the high school/ college as well as university students who are eager to make some effective contribution towards societal change. This is a 3 weeks’ program with an additional beach week where participants will get a chance to explore one of the most popular and exotic beach destinations of India – Goa. Your volunteering trip to India will start with the capital city of New Delhi, where you’ll be working at the Street Children Center. Volunteers shall be oriented about the program and the place before they start their project. The main tasks would involve teaching the kids, taking care of them, painting and decorate the center as well as assist the staff in managerial work. The next phase of the journey will take the volunteers to the little Himalayan town of Palampur, where you’ll get to work with the little ones at the daycare center, loving and playing with them throughout the day. The aim is to shower these kids with warmth and love, and to help them learn to live a better life. 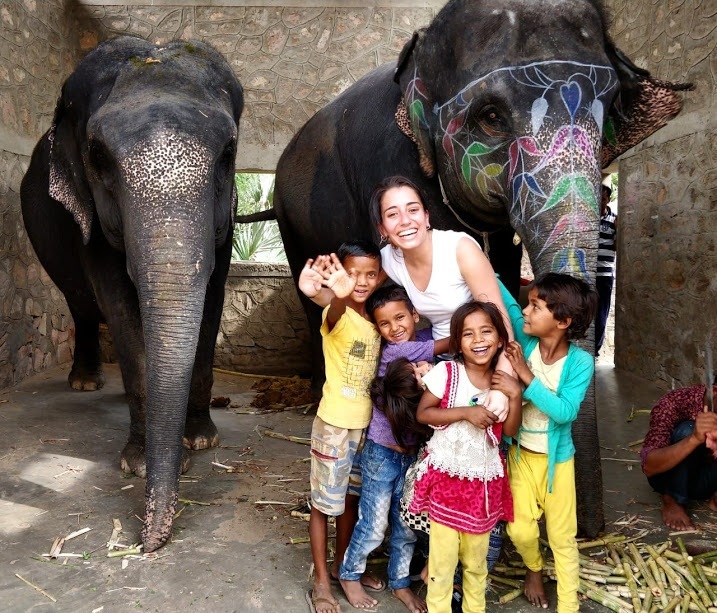 And for the animal lovers, volunteering with the elephants at a village near Jaipur will be an ultimate treat. Live with the mahout community folks, know about their daily life and work, and spend some quality time with these huge mammals. The main tasks would be to take the elephants out for a walk, scrub them and help them while bathing, clean their sheds and feed them along with the mahouts. 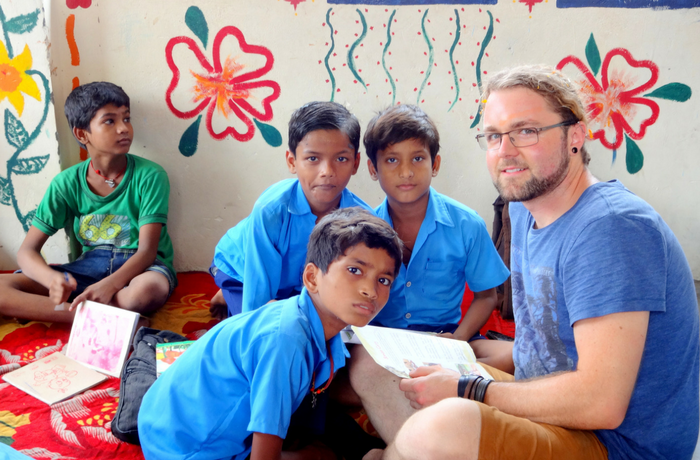 Volunteering abroad is the best way to connect with people from different parts of the world. If you are coming solo to volunteer, you’ll surely not return back alone, because you’ll get friends who have a similar thought process as yours, and you’ll probably look forward to being in touch with them. This journey will broaden your social network as well, and you’ll be able to make a much wider perspective on things. Enough of theoretical studying – this summer, try getting down to the grassroots and do some hands-on work. Put your skills to use, and see how you can polish them. If you have always considered working with children, then now is the time to spend time with them, know them, and teach them. You’ll have to be calm and patient while dealing with kids, and there would be a lot of things that you can also learn from them. A volunteering experience will keep you ahead of your peers, and it’ll immense boost your CV as well. You’ll have a better chance of bagging a job after your course gets over. This is the best part of the Summer Project, that you’ll have the chance to travel to some of the most popular places in the country. 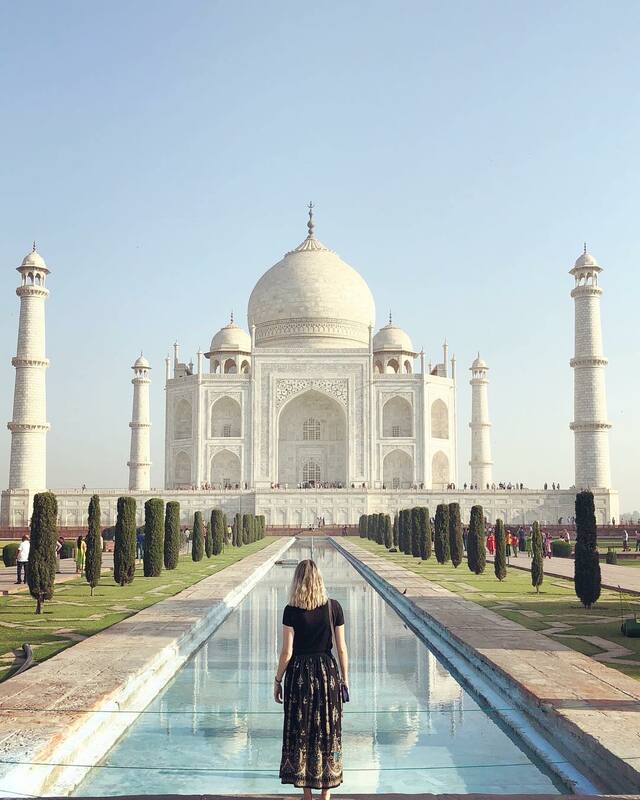 Well, no trip to India can ever be without visiting the monument of love – Taj Mahal. Apart from that, you’ll also get to visit some of the UNESCO World Heritage Sites in New Delhi, including the Qutub Minar, Red Fort, Humayun’s Tomb etc. The Mughal architecture will be an absolute treat for the eyes. Later in Jaipur, you’ll visit the City Palace, Hawa Mahal, and the Amber Fort, where you’ll see a different touch of Rajput architecture. India has been ruled by many, and each has left their mark in their own ways. This can be clearly noticed in the monuments that were built during the medieval period. Travel to Amritsar to visit the Golden Temple and the Jallianwala Bagh – a place that holds tremendous significance in modern Indian history. You’ll also be shown the Wagah border – which is the India Pakistan border, in Punjab. Considered to be the 3rd largest railway network in the world, taking a ride on Indian train would be a totally worthy experience. Look out of the windows and you’ll see the green fields and the little villages as the train run down the countryside. 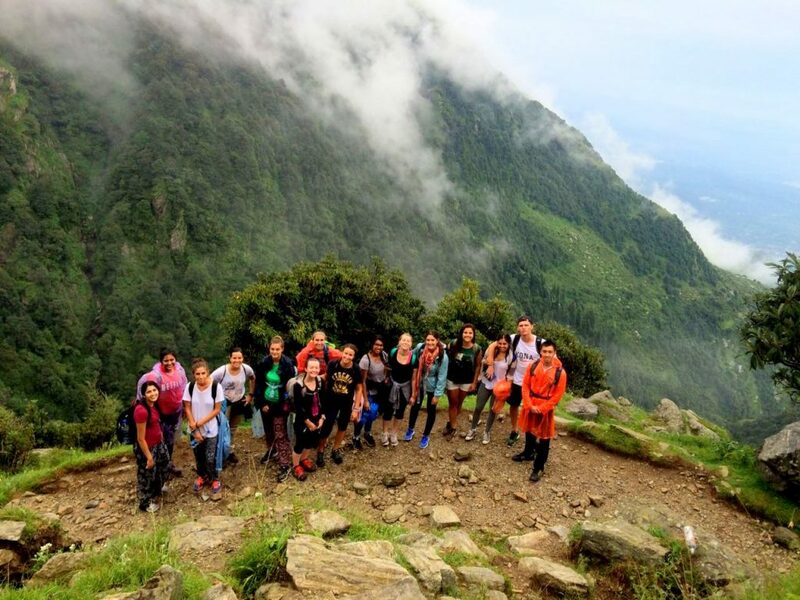 Never thought that a volunteering trip can accommodate trekking in the Himalayas as well? Surely, we are here to offer you the best. One of the main highlights of the Summer Volunteering Program is the trek to Triund. After your volunteering venture completes in Palampur, you’ll travel to this Tibetan town of Mcleodganj in Himachal Pradesh, India. The trek trail covers around 10 km, and you’ll get to camp at Triund where the snow peaks will surround you. Feel the bliss of spending a night inside a tent and enjoy the chills! You’ll remember this trekking experience for long. Apart from the trek, you’ll also get to visit the monasteries in Mcleodganj and savor some great Tibetan cuisine. This program would be the best way to make the most of your summer break. Travel abroad at an affordable cost and dedicate your time to some noble work. Feel the love from people who are largely different from all those you’ve known for your entire lifetime. Understand what unconditional love actually means. Experience the joy of communicating through emotions. This time, step out of your comfort zone and travel to India with us. 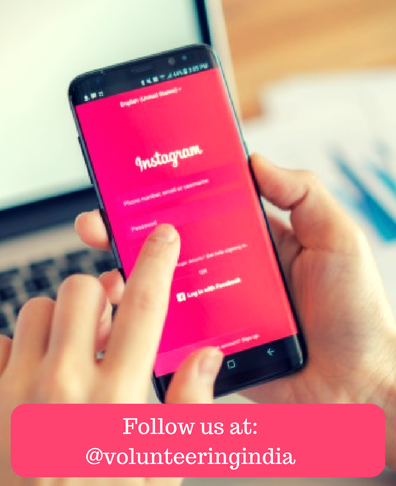 For more information, drop us a mail at [email protected] and don’t forget to follow us on Instagram.